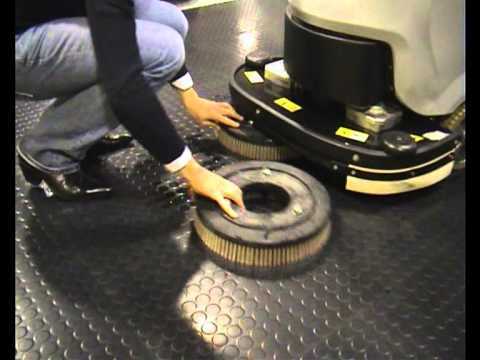 IPC Eagle CT70BT70 Automatic Scrubber - 28", Traction | Kerr Paper & Supply, Inc.
Great maneuverability due to optimum weight distribution. Battery level indicator. Recovery tank can be tilted for ease of cleaning. Solution tank: 19 Gal. ; Recovery tank: 20 Gal. Large solution capacity in a minimum external space. Extensive running time, large battery compartment. Solution Control with automatic stop. CFS (Center Flow System) solution distribution from brush center. CWS (Constant Weight System) ensures maximum scrubbing results. Easy to use control panel. Panel control switches protected against water and humidity. Squeegee Width: 40"; No. of brushes: 2 (disc). Power Supply: 24V 145-155 AH. Empty Weight w/o Batt. : 194 lbs.